At Troop 93, we believe in the core values of Scouting. We are building the leaders of tomorrow by emphasizing leadership and character in all of our programs. We make vigorous use of the BSA Patrol Method, which emphasizes boy leadership and personal responsibility. Our Troop program is planned and executed by the Scouts themselves, based on their interests and the needs of the Troop. The advancement program is supported by Troop activities, but the pace of an individual Scout’s advancement is dependent, to a great degree, on his own initiative. The outdoor program offers something for everyone, from events designed for first year Scouts to a full High Adventure program for our older and higher ranking Scouts. Leadership skills are developed through the use of the Patrol Method and the Patrol Leaders Council (monthly planning meeting incorporating the patrol leaders with adult guidance). Self-discipline and self-sufficiency of the young men is developed through monthly camping opportunities. Individual accomplishment is met through advancement within the Boy Scout program. 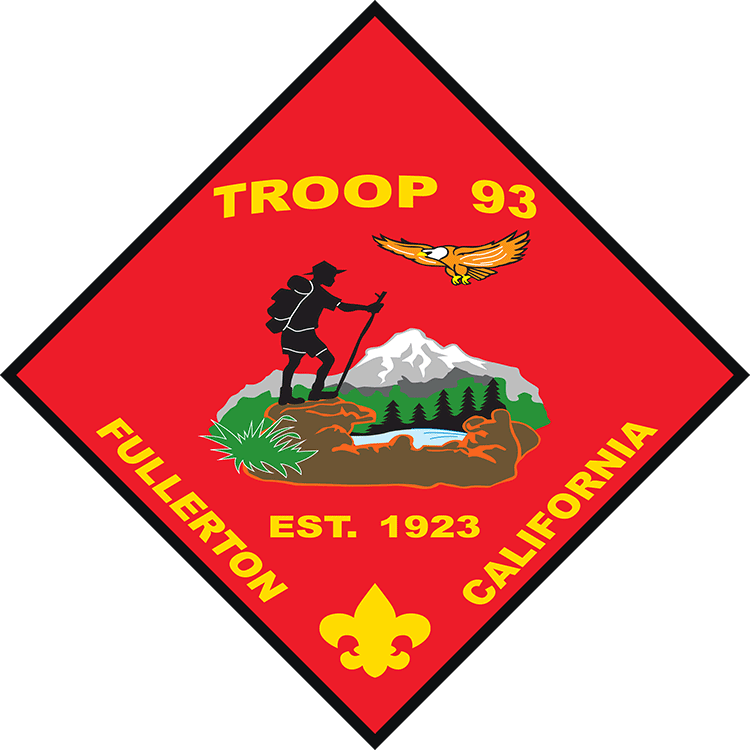 Troop 93 is guided using the “two deep” leadership method by registered and trained adult leaders at all times during each meeting and function. All adult leaders are required to have current Youth Protection certification and have completed all leader specific training as required for their position in the Troop. New leaders and committee members are always welcome. Parental involvement is a very important ingredient to maintaining our strong troop.